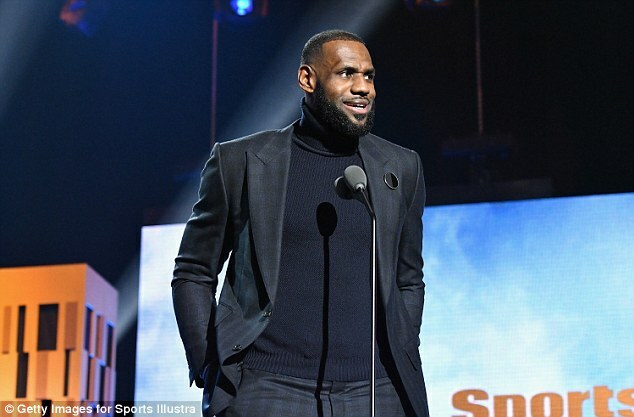 LeBron James paid tribute to the great Muhammad Ali and 23-time Olympic gold medalist, Michael Phelps, as he accepted the Sports Illustrated Sportsperson of the Year honor Monday night in Brooklyn, New York. 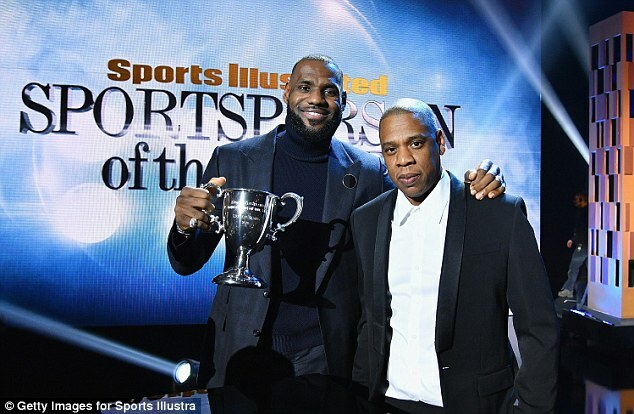 James was introduced by Jay-Z as he walked to the stage to make his speech and accept his award. 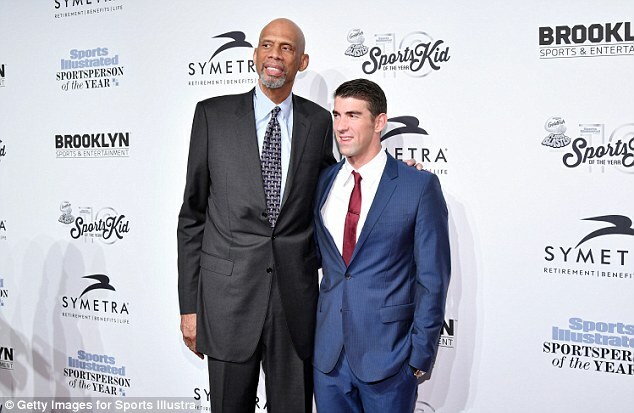 He said that there were 'so many unbelievable achievements of 2016 and we saw so many great athletes, obviously Michael Phelps'. 'We talk about you at the crib so much man, you're literally a fish,' James said before cracking a joke. 'I have no idea how you do what you do. You would definitely win the game that me and my boys play... let's see who can stay under water the longest and not come up. James then went on to talk about his bet with his good friend and former teammate Dwyane Wade, who currently plays for the Chicago Bulls. The pair made a bet on the World Series between the Chicago Cubs and James' hometown Cleveland Indians. 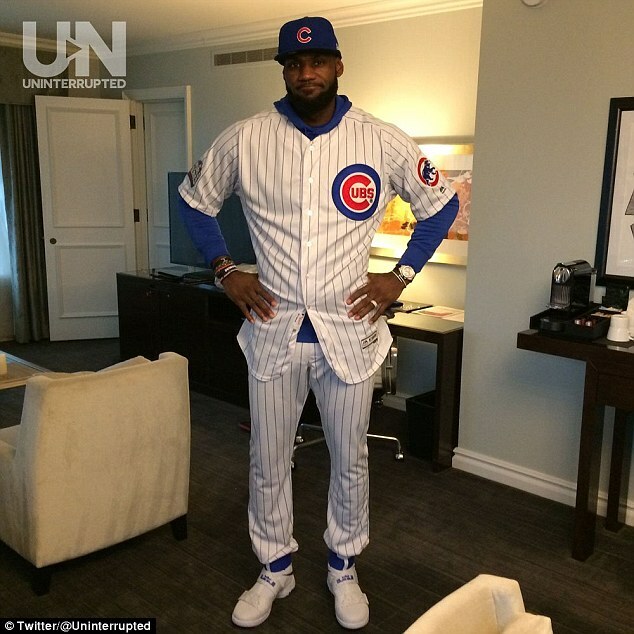 'Made a bet with a good friend and had to wear the uniform to the game', James said referring to wearing the Cubs uniform to his basketball match-up against the Bulls on December 2. The Indians lost in seven games, giving up a 3–1 series lead and allowing Chicago to win its first championship since 1908. Lastly, King James ended his speech with a heartfelt tribute to several legends, including the late Muhammad Ali. 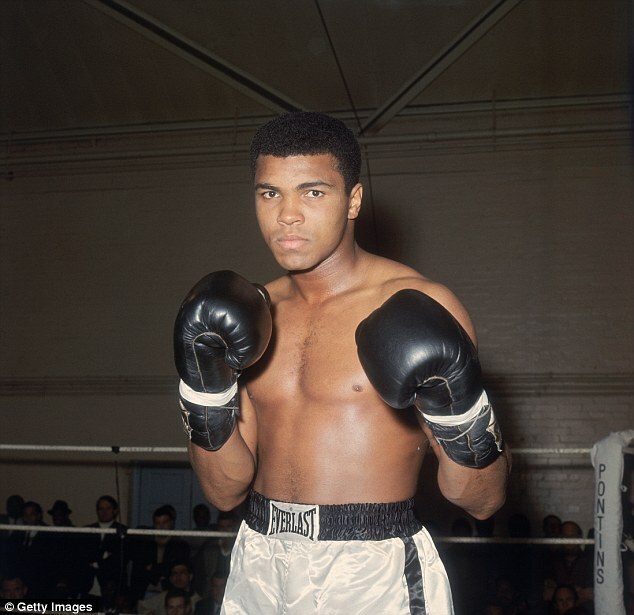 'This award is for the great Muhammad Ali, for Bill Russell, for Jim Brown, for Kareem Abdul-Jabbar,' he said, adding that they were the four dominant athletes of the 1960s. 'They sacrificed everything that could've happened to them. 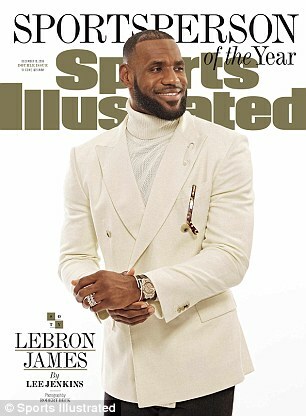 [They] could have been stripped of everything that they had accomplished to that point', James said referring to all the times the athletes stood up to discrimination and advocated for African-Americans and racial justice. 'But their calling and their reasoning for doing what they had to do was for a night like tonight. 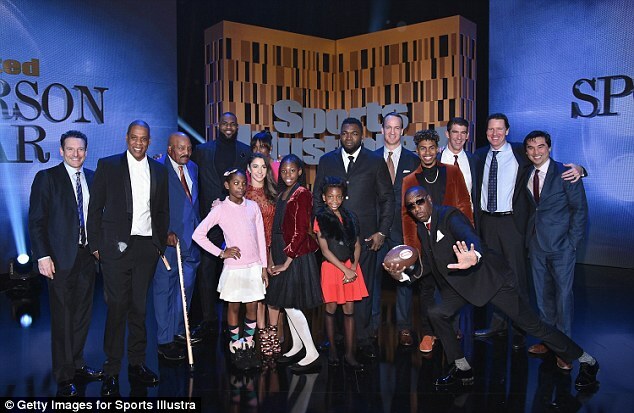 'That in 2016 in Brooklyn, New York, we all can sit up here as African-Americans, white Americans... that we all can sit in one room and just say 'wow, this is an unbelievable night in not only sports, but in life.'" 'It's never about the individual, it's always about the people behind him,' James said. James beat out 11 other contenders for the title including, Phelps, Simone Biles, the Chicago Cubs, Usain Bolt, Vin Scully, Katie Ledecky, Steph Curry, Jimmie Johnson, Von Miller, Leicester City F.C., and Breanna Stewart. 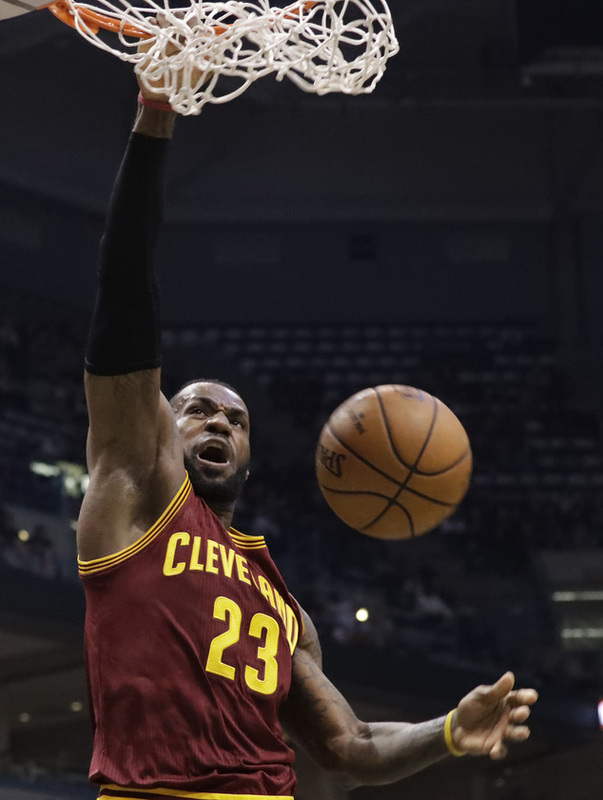 'I'm honored,' James said following shootaround before the Cavs hosted the Los Angeles Clippers. Appearing in his sixth straight NBA Finals in June, James rallied the Cavs from a 3-1 deficit to defeat the favored Golden State Warriors, who won 73 games during the regular season but couldn't put Cleveland away. James scored 41 points in Games 5 and 6 and made a key block in the final minutes of an epic Game 7, making the Cavs the first Cleveland major sports franchise to win a title since the Browns in 1964. He was selected finals MVP for the third time in his career. 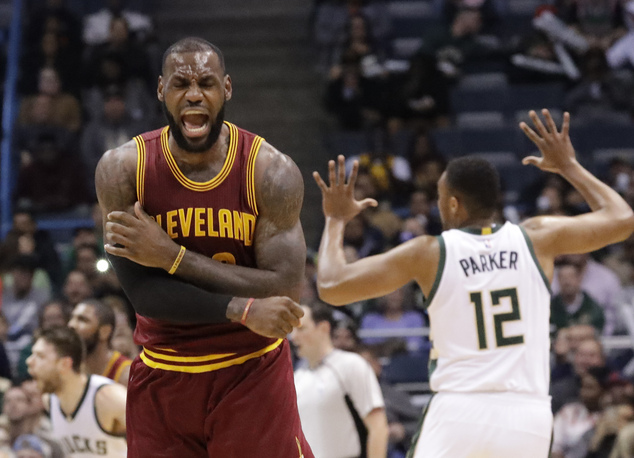 The 31-year-old returned to Cleveland as a free agent in 2014 and pledged to bring a title to his home state. He did it in his second season, an achievement that ranks as the greatest accomplishment of his career. James had spurned Cleveland in 2010, leaving for Miami, where he and close friend Wade led the Heat to two titles and four consecutive finals.